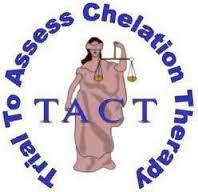 For over half a century, Chelation Therapy has been used for many health issues. Chelation Therapy has been used to remove unwanted heavy metals (such as lead and mercury) and minerals from the human body, and has also been shown to provide many other secondary benefits. The trials showed potentially important improvement in patients who had previous heart attacks and were already under cardiology treatment, especially those patients with diabetes. There were 18% fewer cardiac events in the treated group and 39% fewer cardiac events in diabetics. This is significant and cannot be ignored. Diabetes Mellitus – this is a condition when the body is unable to store glucose because of insulin production. Diabetes Mellitus could be caused due to any process in which the pancreas is being destroyed. The blood flow of people who have diabetes is impaired. Diabetic Retinopathy – this condition is a problem with the eyes. The retina’s small blood vessels are damaged by diabetes. Normally, the retina’s job is to transmit messages to the brain of what it has seen (or captured). Chelation for diabetes can help in keeping one’s blood pressure levels in (what is considered) a normal range and can help to avoid (and possibly prevent) loss of vision. Diabetic Neuropathy – this condition is a nerve disorder that is caused by diabetes. Symptoms of Diabetic Neuropathy include pain in the legs, feet or hands. High blood glucose, which is associated with diabetes, can harm blood vessels that carry nutrients and oxygen to the nerves. Proper blood flow can insure that oxygen is being provided and supplied to one’s body. By increasing blood flow and removing heavy metals from the body, liquid chelation therapy from Cardio Renew can assist in relieving the symptoms of diabetes. Visit our Frequently Asked Questions page for Q and A on Cardio Renew.